A top made for sun-kissed shoulders and salt-dusted skin. 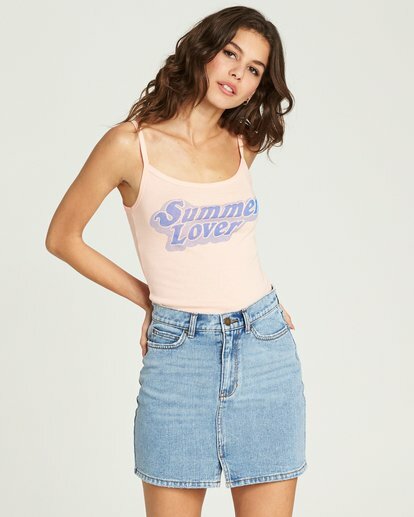 A “Summer Lover” graphic is printed at the chest of a cropped tank, featuring a spaghetti straps, a fitted cut and 100% cotton jersey construction. “Summer Lover” print at chest. Olivia is wearing Peaches in size M.